Android users are jazzed about news that Google will be rolling out the latest iteration of its mobile operating system to more devices, but how quickly that will happen has some consumers asking questions. If you're one of the lucky ones to get the update, check out some tips and shortcuts Google has posted to help you navigate the many changes you'll see on your device. 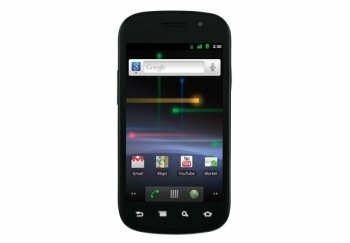 Just a day after the Samsung Galaxy Nexus arrived in stores as the first smartphone in the U.S. to ship with Android 4.0, Google said it will be rolling out the operating system, also called Ice Cream Sandwich, to some other devices as well. Android 4.0.3, an incremental release of the Android 4.0 platform, includes a variety of optimizations and bug fixes for phones and tablets. For instance, now status updates from social media sites sync with contacts so you can see what connections are doing online in real time. It also sports an improved calendar and camera capabilities as well as improvements in graphics, database, spell-checking, and Bluetooth. When you do get it, expect to be impressed. ICS is completely unlike previous versions of Android. Google has given nearly every facet of the OS a makeover, and the very core of the Android user experience has been completely reinvented. Many Android users are thanking Google in public forums for the roll out plans, while others lament the fact that their devices may have to still wait a while to take a bite of Ice Cream Sandwich. For instance, even though it looks like GSM/UMTS Nexus S devices will get the upgrade, so far Google hasn't said when it will roll out to the CDMA version of the phone (i.e. the Nexus S 4G on Sprint).